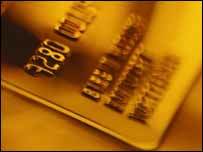 A security loophole at a bank allowed easy access to sensitive credit card information, the BBC has found. The Morgan Stanley website allowed users to access account details after entering just the first digit of a credit card number. The shortcut would only work if the account holder had set up the computer to automatically save passwords. Password saving should not be available on financial websites and Morgan Stanley has now disabled the facility. The problem came to light after a viewer contacted BBC breakfast. If the fraud was not your fault and you took all reasonable precautions to avoid it, banks will generally reimburse users. David Reece, from Cleveland, was shocked when he was able to log into his Morgan Stanley account online using only the first digit of his credit card. "I could not believe it and thought maybe it was something I was doing wrong, a quirk in the system, but I tried it and tried it again...and the same thing happened," Mr Reece told the BBC. Mr Reece was able to access his account, transfer money and even change his personal details as a result of setting up automatic password entry, a system called Autocomplete, on his computer. Autocomplete allows computer users to shortcut security checks by saving data such as user id's and passwords. However, the autocomplete system should not work on secure financial sites, according to guidelines issued by the Association for Payment Clearing Services (Apacs), the body that oversees the banking payments system. When told of the loophole, technical staff at Morgan Stanley fixed the problem on Monday night. The BBC contacted the majority of UK banks offering online accounts and found that none allowed Autocomplete. If the user decides to set up auto-complete on their machine then it is their problem. The techniques to stop this working are far from watertight anyway. It is surely the users responsibility not safeguard their own usernames and passwords. If you don't want all your passwords stored in your machine, don't use auto-complete. Easy! What this means is that anyone using your own computer would be able to log-on to your bank account. If a criminal is sitting in your house, logged on to your personal computer, then his having access to your bank account is probably the least of your problems. I wouldn't touch internet banking. Secure connections are all very well, but there are too many stories about security breaches like this. The only time this would be a problem is if you accessed your bank from a laptop and the laptop was subsequently stolen. That is why security professionals recommend that you don't use autocomplete on laptops. The biggest risk from Autocomplete is not really from your own computer (unless it's stolen), but if you access your account from a public machine, like in a library or internet cafe, you could unwittingly leave the information for another user to get into your account. I think online banking is safe (apart from when companies do daft things like this!). Internet banking is great, I use it all the time and find it very valuable, but I do think that consumers have to take some responsibility for their own security measures, our lack of common sense is not the banks fault. Internet banking is a great way forward and we all need to get familiar with this. Some people are not so familiar with computer setups and struggle to understand auto-complete etc. the real risk is people who have trojans on your computer and can remotely access info. That why this was a real problem. I use Internet Banking from both home and my office desk and would not dream of putting my log-in or password into any facility such as autocomplete. I disagree that using autocomplete is the fault of the user. Not all users can be expected to understand the implications, or even how to disable it. Have you heard for example of the vbscript error that allows overwriting of the hosts table, seamlessly replacing your bank's website with a false one set up by criminals? Is it your fault if you haven't? The banks and software manufacturers should take responsibility for this. What's the future for credit cards?